USMLE exams are very difficult and getting tougher every day. Not only that, even the residency is getting harder. If you want to get your dream residency you have to score high. I don’t care if you have connections or not, you should try to get at least 230+ on your boards. Always remember, nothing can beat an amazing score! Recently, I am overwhelmed with all the emails you guys sent asking me what resources I used to study and prepare for my exams. As much as I want to reply to you all, unfortunately, I don’t have enough time. So I told my web developer to make me a page with all the resources I used to prepare for my USMLE preparation so that it is organized and all of you can buy them from Amazon. Every single books and resource were used by me. And I am fortunate enough to study the right materials and with hard work, I was able to score. To see what resources I used for my preparation you can check out my Best USMLE Resources page. It has all the books I used for Step 1, Step 2 CK, CS and Step 3. I also listed what Vitamins I took, Tea I drank and even what I used for my workout! I was a broke medical student so I used my money wisely to buy things that are under my budget. So without any further discussion check out my USMLE Resources. Every day I get tons of emails from you guys asking me to give you guys a good study schedule for your USMLE Preparation. I have been so busy with work and did nothave much time to reply to you all with an individual study schedule. So in my spare time, I created a study schedule for USMLE Step 1﻿ that I personally followed to score 266 in Step 1. It is an intense 3 months study schedule that I followed religiously to keep me on track during my preparation. Let me tell you why you need an study schedule. If you are reading this post you probably already started your USMLE Step preparation. However, you probably don’t have an exact plan on how to tackle all the material on time. I can completely understand and relate to your situation. In the beginning, when I was preparing for Step 1, I was all over the place. I did so many materials to prepare myself and realized I needed a proper study guide to keep me on track so that I can study properly and efficiently. Long story short, with my study schedule you will be able to keep track of your study materials and questions. And it will guide you on what to study daily till your exam. Not only that, I also have 3 assessments scheduled on the study schedule so that you can take them for your progress. The study schedule that I created for you guys it breaks down how many pages of each subject you should do per day and how many questions from USMLE World you should do per day from different subjects. 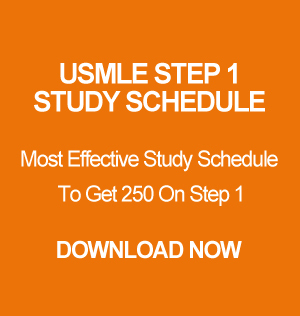 This USMLE Step 1 Study Schedule will guide you for 3 months till your exam. If you follow the schedule properly you should be able to take your exam within 3 months and score high on the exam. Students who will buy the schedule will also get to my priority reply once a week to go over their progress or any questions that they have. I am selling the schedule for only $5 USD. I understand the financial burden that medical students have, which is why I kept the price very low. You can download the schedule from here. And once you pay you will have instant access to download the pdf. If you have any questions you can also contact me directly. I have my email address listed on the Study Schedule. P.S. I will be releasing Step 2 CK, CS and Step 3 Study Schedule next week. If you are studying for the Steps, I am sure you get chills when you plan on taking an NBME. Many students get nervous when they realize they have to take the NBMEs. Today I will explain when you should take an NBME and how you should study your NBME to get the most out of it. First all, if you just came out of the medical school do not take any NBMEs yet. I highly recommend everyone to at least go over First Aid and USMLE World once and then take the NBME. Now you might ask why? The reason why I recommend to take NBME after completing one pass of FA and UW is so that you feel a peace of mind. Not only that, but you will also feel much more confident taking it. Next, when you decide to take your NBME, always take it early in the morning or as soon as you wake up. Of course after breakfast! This way your head will be clear, and you will be focused. Do not cheat while taking NBME. You have to treat it like a real exam even though NBME only has four blocks. Make sure you have a pencil or pen, two blank white papers, and an eraser. These are the only materials I recommend you to have before you begin. Do not have any water while taking the exam. Now, you might say why not? The reason is on your real exam you are only allowed to have two dry erase boards and markers. They do not permit you to take any water while taking the exam. That’s why you should stimulate the same system at home. After each block, take 5 to 10 minutes break for washing face and snacks. Once you complete the exam and get your fabulous score, just relax. Even if you get a very low score its ok! Next day, you should go over entire NBME. You can easily find all the questions and answers in Google. Go over each and every single question and mark the tested concepts in First Aid. Now be careful not all the answers you will find online are 100% accurate. So you will need to double check the answers from a trusted source like Usmle World, Kaplan, BRS or Robbins. Next, you should study all the concepts that you marked on First Aid thoroughly. Because on your next NBME, they will test you on the same concept in a different way. For example, if you had an NBME question on Friedreich’s Ataxia and it’s association with Hypertrophic Cardiomyopathy chances are they will ask you a different question on Friedreich’s Ataxia with a different association on your exam or another NBME. And this is why I highly recommend everyone to study the entire concept. 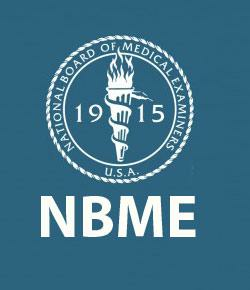 Overall, before you take your real exam, you should take at least three NBMEs. And if you add the number of questions there should be total 600 questions. Make sure you go over all of them correctly and mark them on First Aid.